Guess what world? 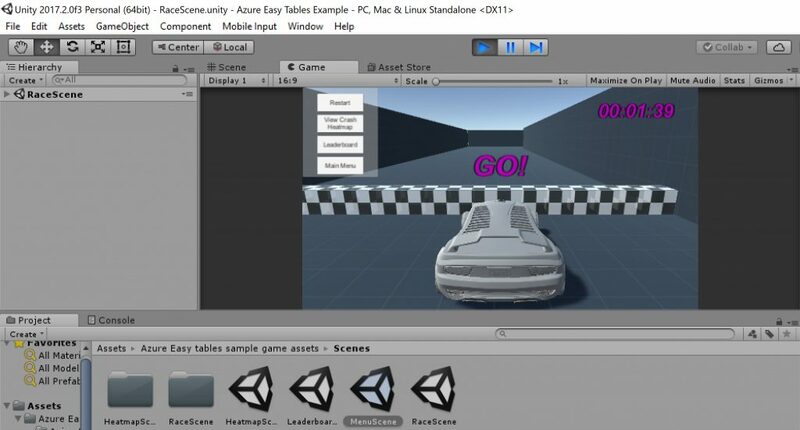 I made my first Unity3D Game today and I made a cool back end Azure mobile app for the racing game to hold the leader board and crash heat map. All this I learned step-by-step and hands-on tutorial through David Antognoli’s Webinar for Microsoft Azure Webinar ” Build Better Games with Unity and Microsoft Azure”. It was so much fun!! Today I wanted to learn more about Azure but the Microsoft Labs kept crashing so I found this webinar and tutorial online and it looked doable so I tried and succeeded! I’d like to share my experience with you. Microsoft Azure Webinar ” Build Better Games with Unity and Microsoft Azure”. Here is a screen capture of my Unity3D project following the tutorial. Ok now you know how cool and much fun it was to play, the tutorial was very excellent at explaining how to setup Azure, Unity3D, and install packages step-by-step. Disclaimer: It took a few hours to download and install the Visual Studio Preview and Unity3D. I watched the entire video before attempting this project, and then walked through the tutorial step-by-step and it took me about an hour or so to get everything setup and working. I already had a Visual Studio and Azure account. I was worried about my student subscription service and ability to create another mobile app for FREE, but voila.. I did it! So everything flowed pretty flawlessly on my end with one or two minor issues. The game communicates with my mobile app back end through my Azure account. Here is a screen capture of my name and score values. 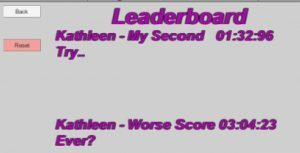 As you can tell from my scores, I am terrible at playing racing games! Here is a picture of my Azure back end Leader board . This table feature is called an Easy Table in Azure. Next is a picture of a heat map of all the locations on the race track where I crashed the car during my two races! The crash locations are marked by red spheres. 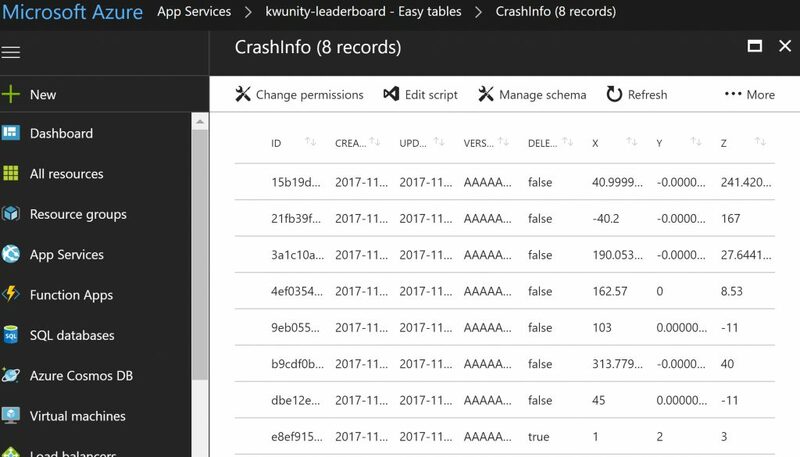 This is another Easy Table in Azure that stores the crash coordinate locations. Pretty cool eh? I definitely recommend this hands-on game tutorial to try yourself and play. 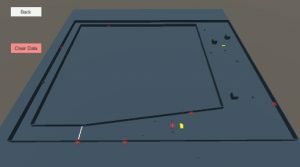 I am going to be tinkering with Unity this winter holiday and hope to release something fun! !